Indoor pretend play is a portion of play park and indoor playground. Provide your E-mail and get the latest news from the page. Once, in the mind of many people, playing is children enjoying the fun by different play types of equipment, like trampoline, slides, seesaw, rock climbing, spring riders and so on. It is very traditional play in the park or playgrounds. For years of development, children playground has been undergoing great changes no matter from the concept or from the indoor play equipment. It is very often to see new play games are being introduced into indoor soft play, for example, rope course, ninja course, donut slide, interactive games, trampoline parks and so on. Investors of children indoor playground always keep with the times and update innovative play items in it. Among of all new games, indoor pretend play is one favorite for children and parents. Indoor pretend play activities are suitable for children from 2 years old to 7 years old. In the role-play environment, children learn the basic rule of society and know what should behave like the adult. It is a very good way to let them experience real life before school. The study shows that indoor pretend play has a momentous influence on child’s cognitive and social development. Let us take children car-racing for example. 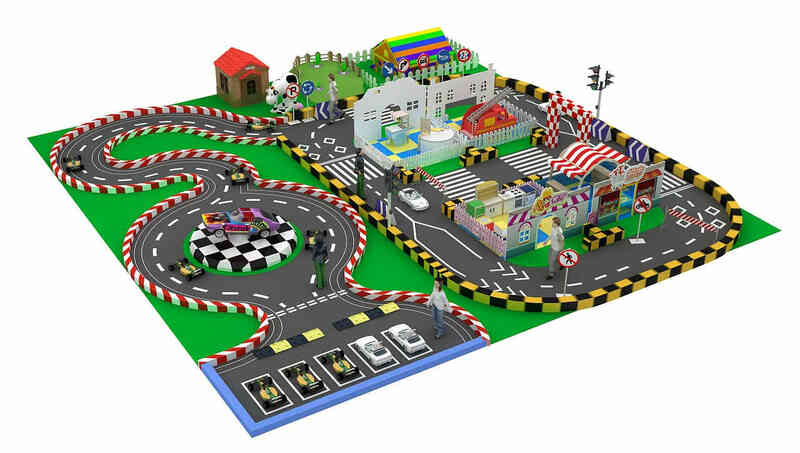 We build traffic roads, traffic signals and scale down their dimension; at the same time, we set up some role-play houses, supermarkets, hospital, coffee shop. 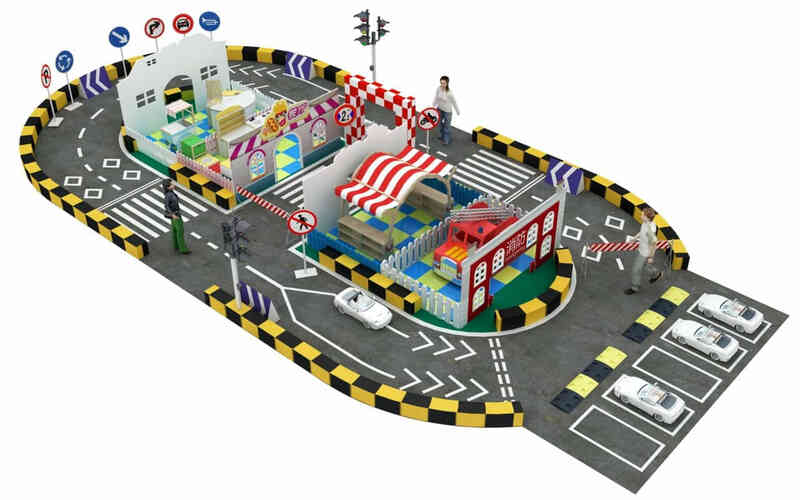 All looks like a mini social city, children drive along these houses and obey the traffic rules. It is a real experience that allows children learn directly, much better than theoretical knowledge. Now, in some indoor playground, some investors set up an exclusive indoor pretend play area, that is career experience hall. 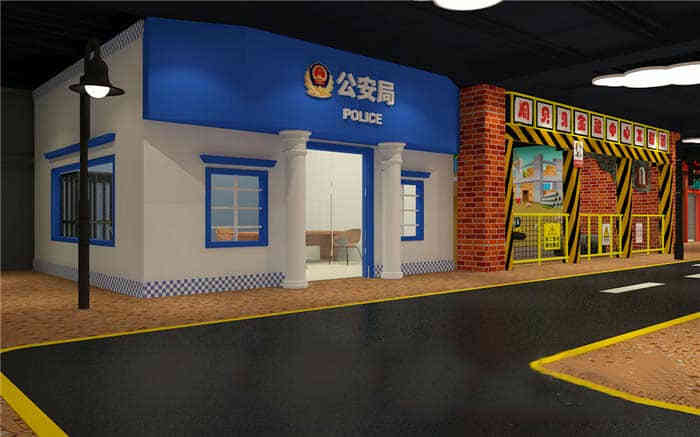 There are different careers and matching cloth, types of equipment, children can play any career like the doctor, policeman, teacher, fireman and so on. The study shows that if children often take part in indoor pretend play activities, they will easily to communicate, learn social skills at early school age. This entry was posted in blog and tagged indoor playground. The latest developments in indoor playgrounds and the sharing of business experience, and the latest device decryption. How to purchase the equipment for your indoor playground? Lynda soukouang on How much does commercial indoor playground equipment prices? 500 playground site planning &operating experience. Turn-key indoor playground equipments provider. 10 years factory production experience.